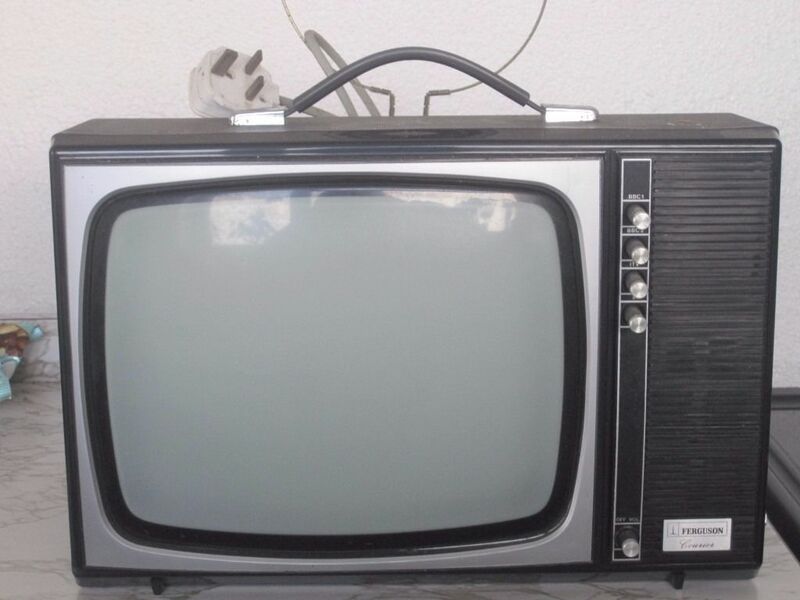 Once upon a time, we had a television that was made in our home town – in fact, we had two. They were black-and-white portable televisions made by Ferguson, a major employer in Gosport, Hampshire, and a division of the enormous Thorn-EMI corporation. 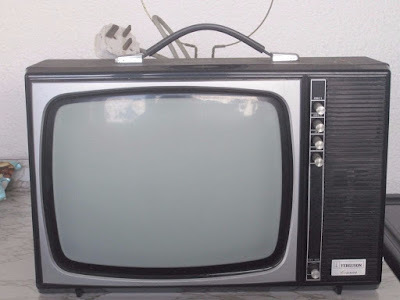 The cathode ray tube in one TV gave up one day, but the other hung on for a very long time: when the on-off-volume switch fell off, it was replaced by the end of a used chapstick, jammed into the hole to serve for nearly a full decade. 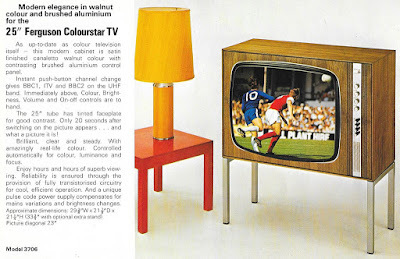 Colour television arrived in my bedroom when both progress, and a Christmas, replaced the Ferguson with a portable Bush TV. It turns out that this coming Monday, 20th February, is the twenty-fifth anniversary of the closing of the Ferguson factory, which has since become a business park. The US conglomerate Cyanamid, once owners of brands as disparate as Old Spice and Formica, had a pharmaceutical plant down the road, but it has since moved out, the factory knocked down. 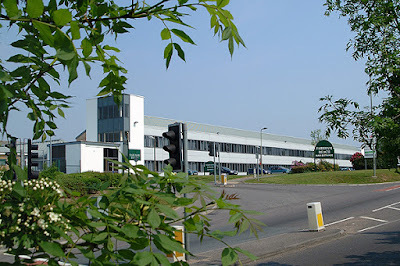 The remaining mass employer in Gosport, apart from the Royal Navy, is the Finnish company Huhtamaki, makers of food and drink packaging, and formerly known as the great-sounding Sweetheart International, whose base is big enough for them to sponsor the flowers on nearby roundabouts. It is too easy to get sentimental about these things, especially the jobs that are lost – I have only worked in my home town for five months out of the last twelve years. However, the reason the last TV was replaced was the same reason the factory closed: competition. In 1987, Thorn-EMI sold Ferguson to Thomson, the French company that already shared production and designs with them, but they themselves pulled out of a market where Ferguson no longer fit. Back when people rented TVs, because they were often too expensive to buy, Thorn-EMI not only made the TVs, you rented and bought from them too – their Radio Rentals, DER and Rumbelows rental businesses have since become Bright House. Thorn-EMI also made some of the programmes you saw, owning half of Thames Television, and all of EMI Records. Only Sony has gone as far as this since, owning Columbia Pictures and MGM, but they don’t keep their customers tied in to the same extent, as TVs have since become cheap enough to buy, and throw away – no jamming in any chapsticks there. If people are looking at bringing back industry the way we used to have it, so long as you are able to innovate and adapt as well as any other part of the world, and you know that the conditions are different from the way they were, then it is certainly possible. Whether it means anyone will buy up Gosport’s KFC drive-thru, knock it down, and build the Cyanamid factory on top of it, is another question all together… one that has the answer, “probably not,” unless plans for the future are being made over a bucket of chicken.